My year of opening up to podcast appearances continues to roll on! 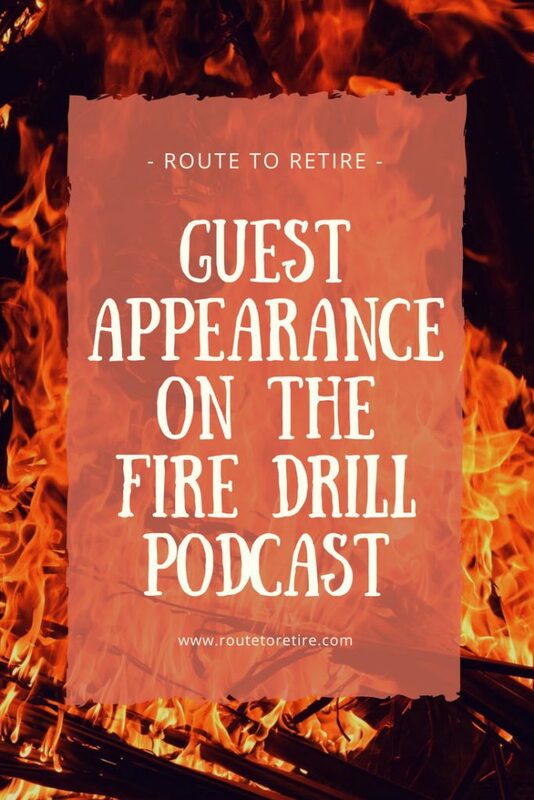 Recently, I sat down with Gwen and J on the FIRE Drill podcast and we had a blast! I met Gwen from Fiery Millennials at FinCon last year shortly after she had hit me up about some questions she had on Panama. She had an overnight stay there on her way to the Chautauqua in Ecuador. I hadn’t had the opportunity to talk to J previously, but knew her from her site, Millennial Boss, regardless. It was great to talk to them and I’m hoping you’ll enjoy it as well. During the appearance, the three of us had a chance to dish on our rental properties. Of course, we also talked about my plans to leave my job at the end of the year and why I gave so much notice. Turns out Gwen did a similar thing with her former employer. We discussed our plans to move to Panama, why we’re making this happen sooner than later, and our cautious strategy in case it doesn’t work out. And to top it off, Gwen got some great news on her phone during our recording. It would just be too easy to give that one away here, but hopefully, the teaser gets you to check it out. More importantly, I got to share my big dream with them. I might have kept it too realistic, but if it’s a possibility for John at ESI Money, why can’t a guy like me dream?! Thanks so much for bringing me on, ladies! Looking forward to seeing you at FinCon this year! ← There is a Secret Formula to FI, But It Ain’t No Secret! Wow, you’re getting on all the podcasts! What a lucky guy! I guess it really is who you know!